This is the second work in the Industrious Light series, and continues the dialogue of Philadelphia’s brewing history. 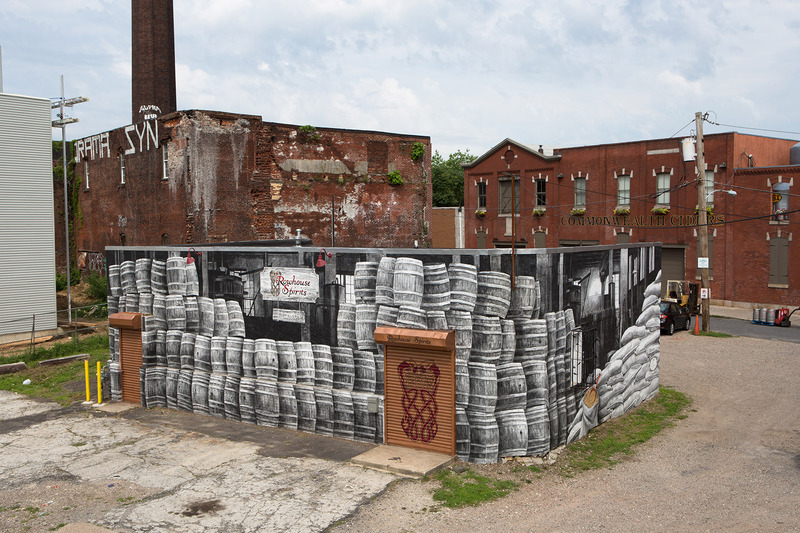 The mural is located at the former Weisbrod & Hess Oriental Brewing Company (late 1800s), and the current home of the Philadelphia Brewing Company (PBC). The mural wraps the entirety of Rowhouse Spirits, a newly opened distillery located directly in front of PBC. The mural depicts the relationship between brewing and distilling through the depiction of the industrial materials common to both. The front of the building speaks more to distilling and the back to brewing. 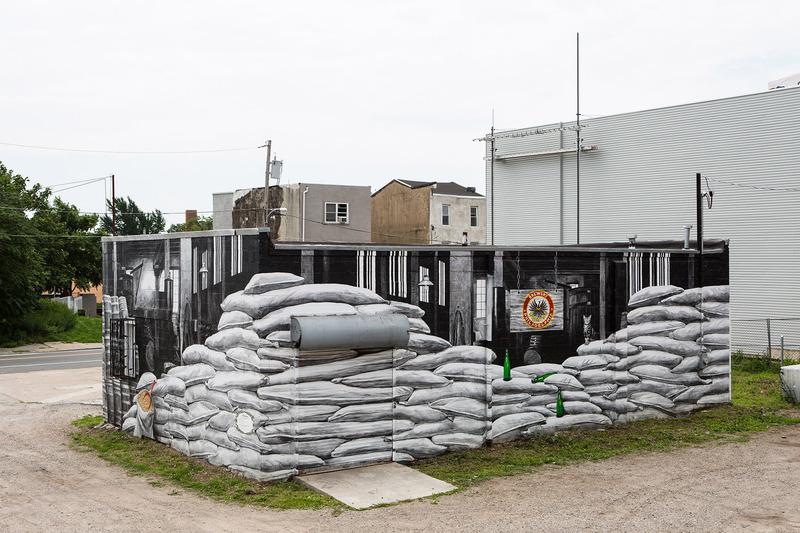 This was commissioned by the City of Philadelphia Mural Arts Program.